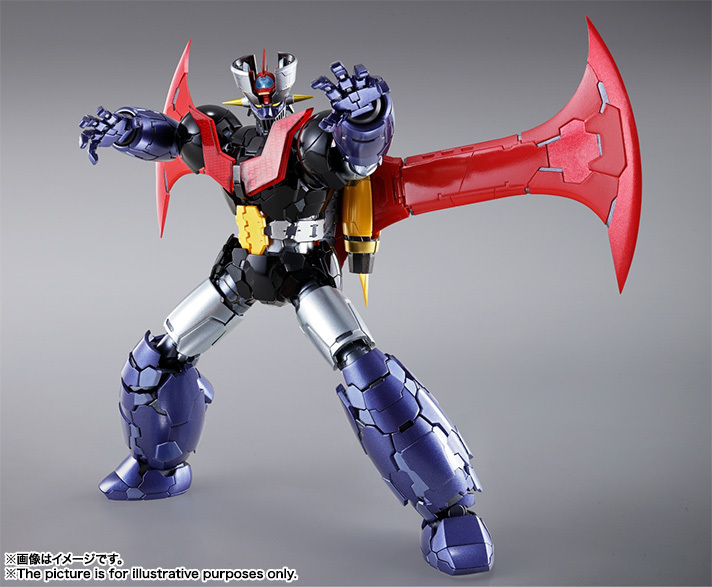 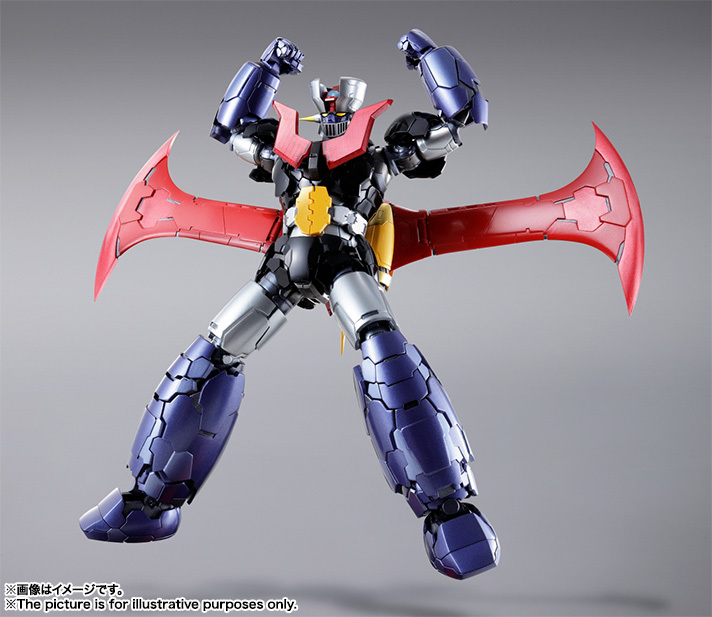 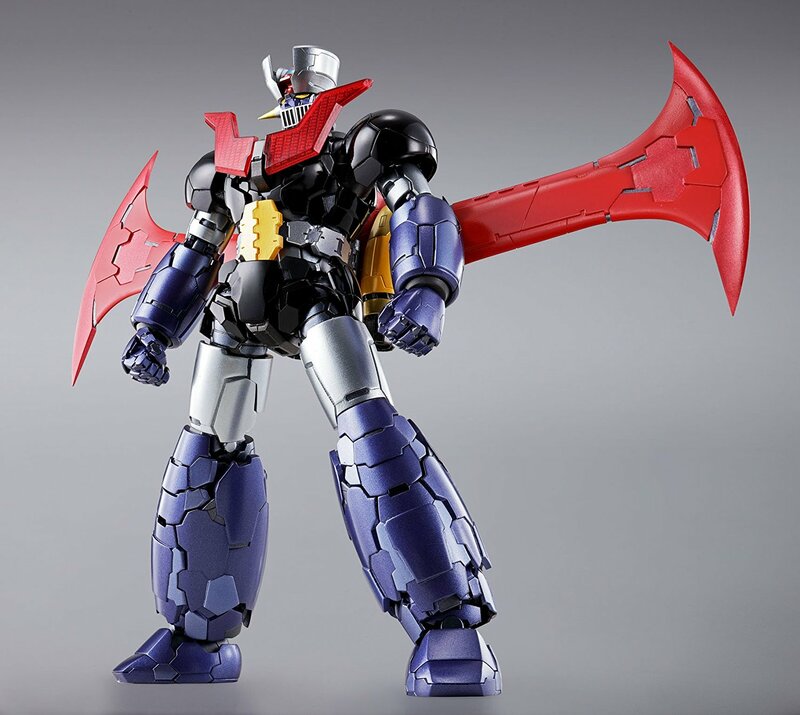 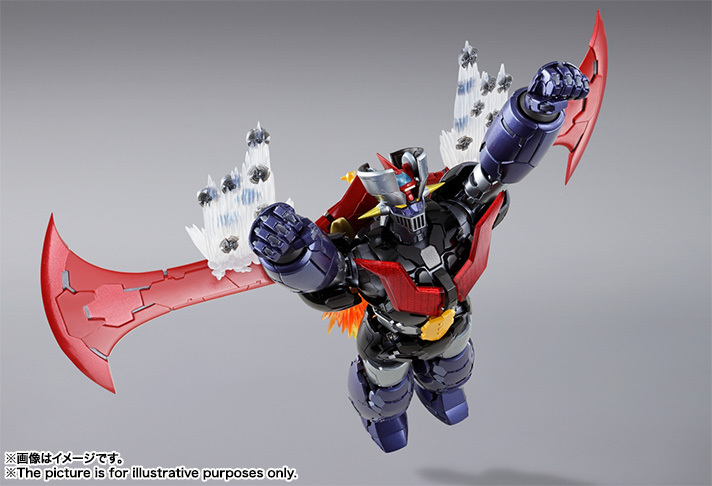 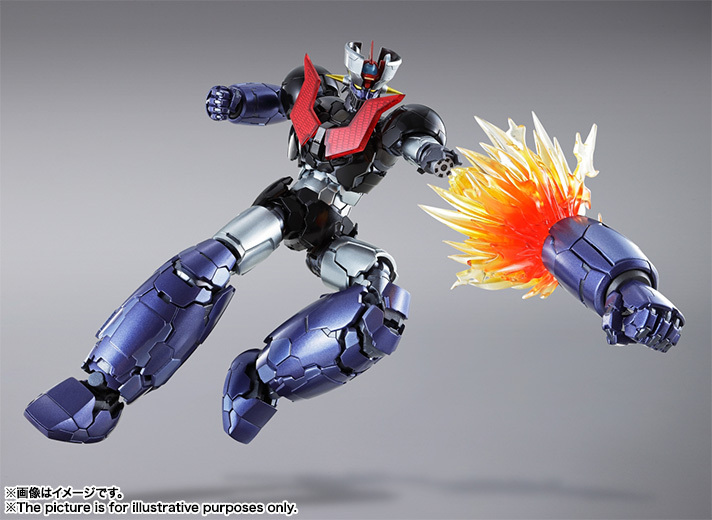 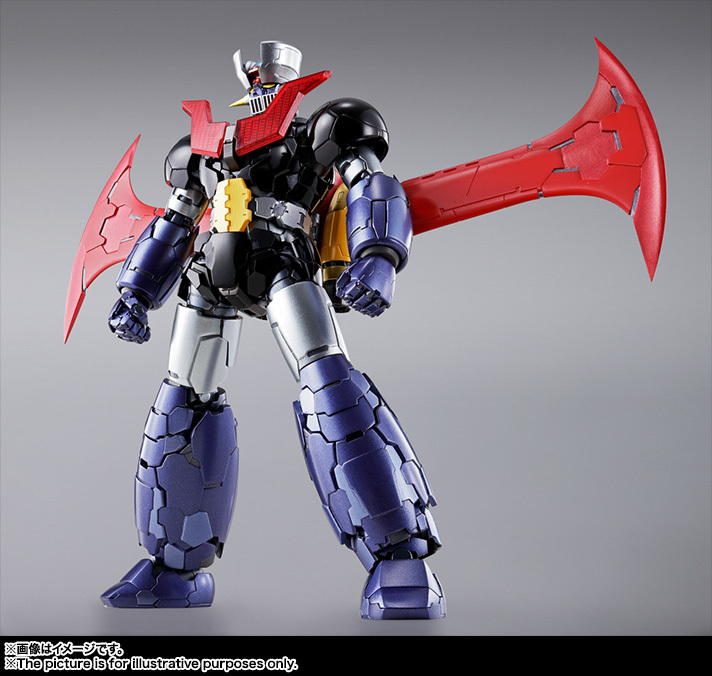 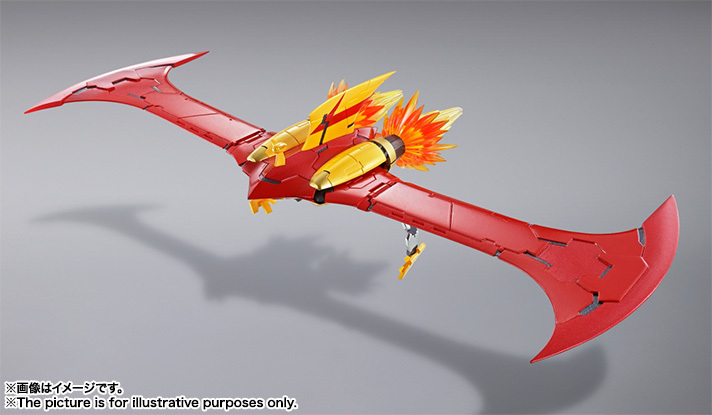 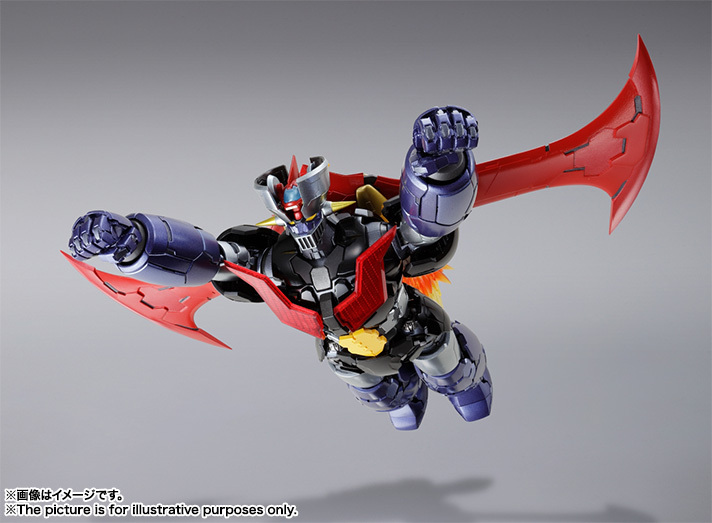 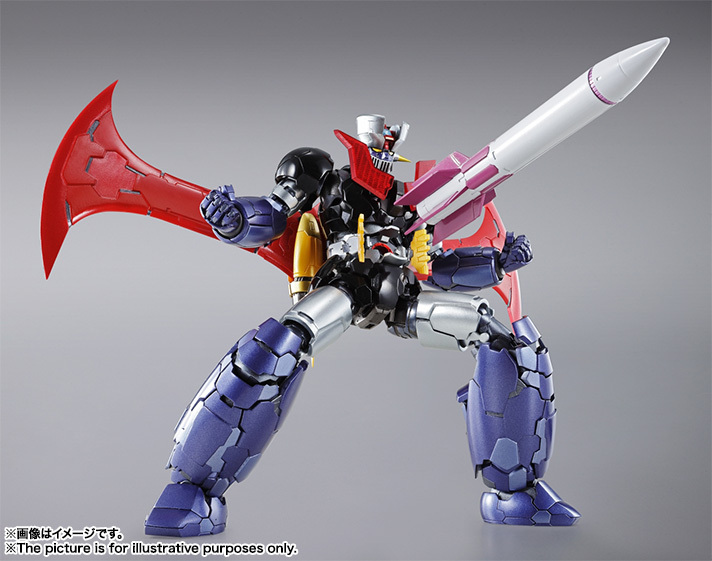 Bandai Metal Build Mazinger Z "Mazinger Z Infinity"
Home > Action Figures > Bandai Tamashii Nations > Metal Build > Bandai Metal Build Mazinger Z "Mazinger Z Infinity"
Orders after PO Deadline may not be served. 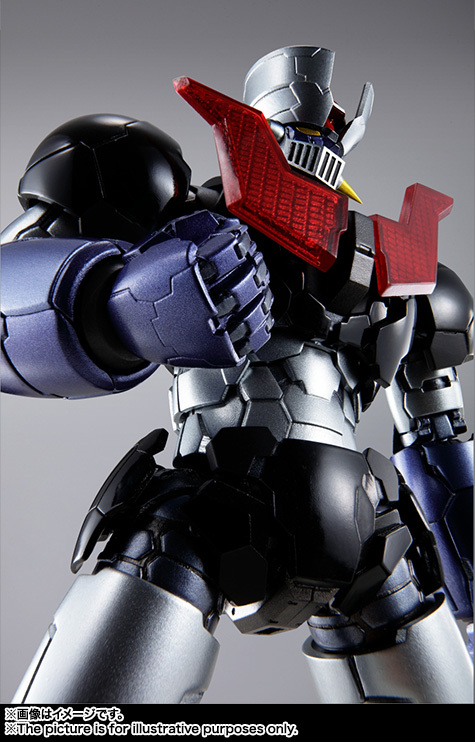 An exquisite METAL BUILD rendition of the Mazinger Z as seen in the upcoming theatrical film, overseen by mechanical designer Takayuki Yanase! 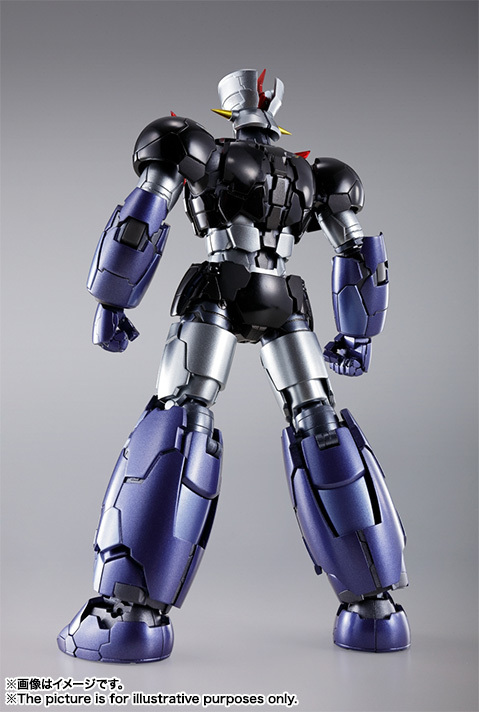 The entire appearance and structure has been re-arranged and defined for three dimensions,. 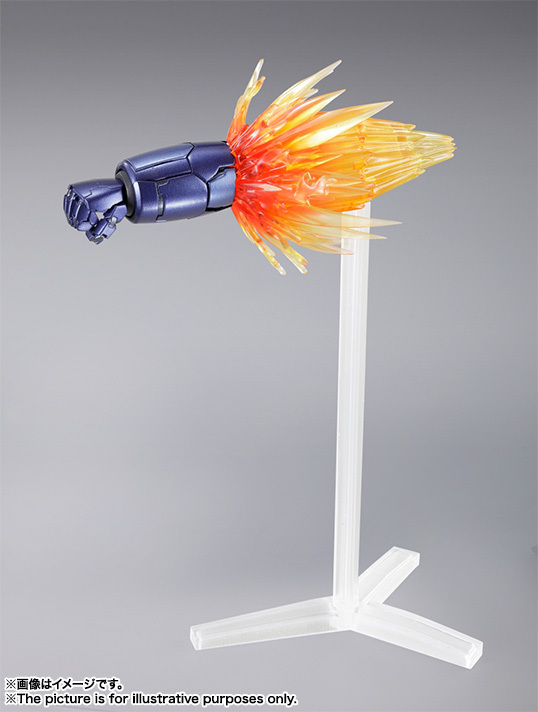 Includes numerous options as seen in the film for incredible display possibilities and play value. 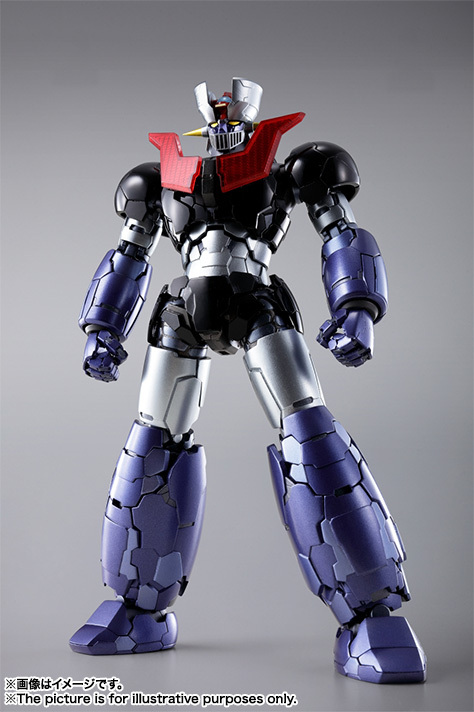 Based on the concept art, this figure preserves Mazinger Z's distinctive silhouette while expanding on the detail level to an incredible degree. 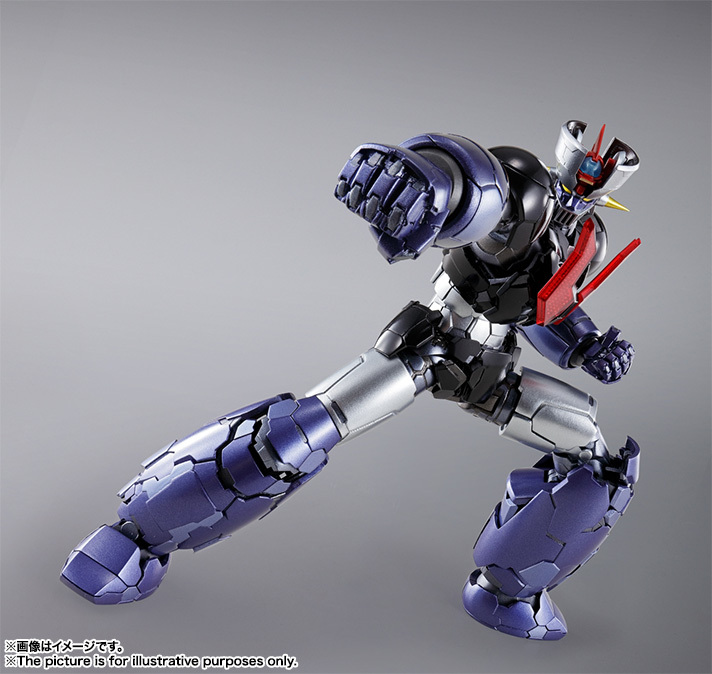 Plus, it's finished in metallic colors and using translucent parts for a luxurious feel. 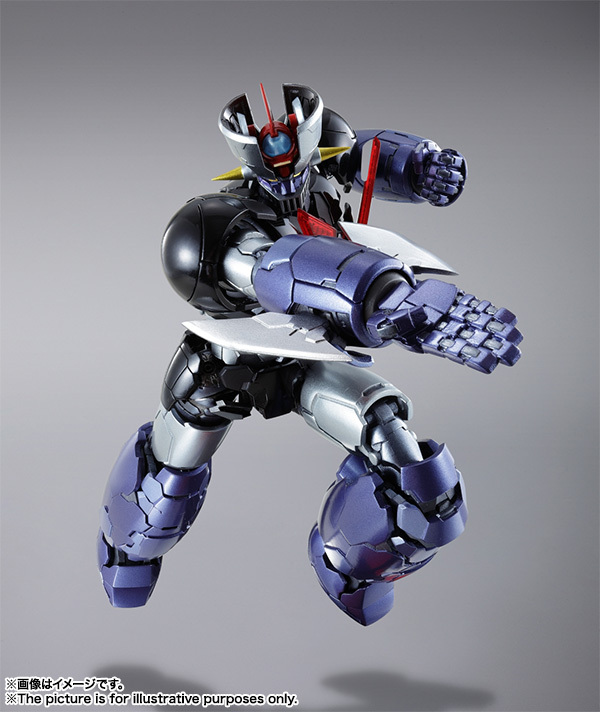 That's the METAL BUILD way! 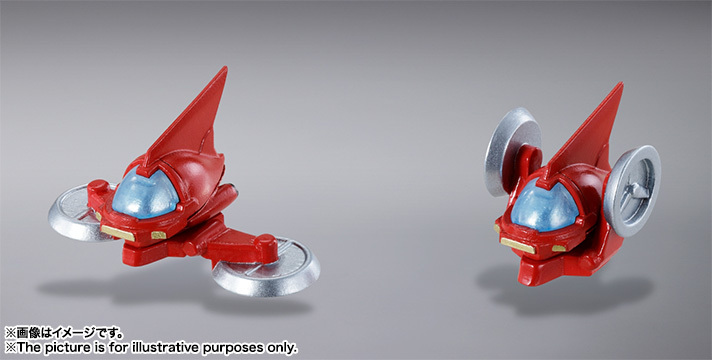 And this attention to detail continues on to the accessories. 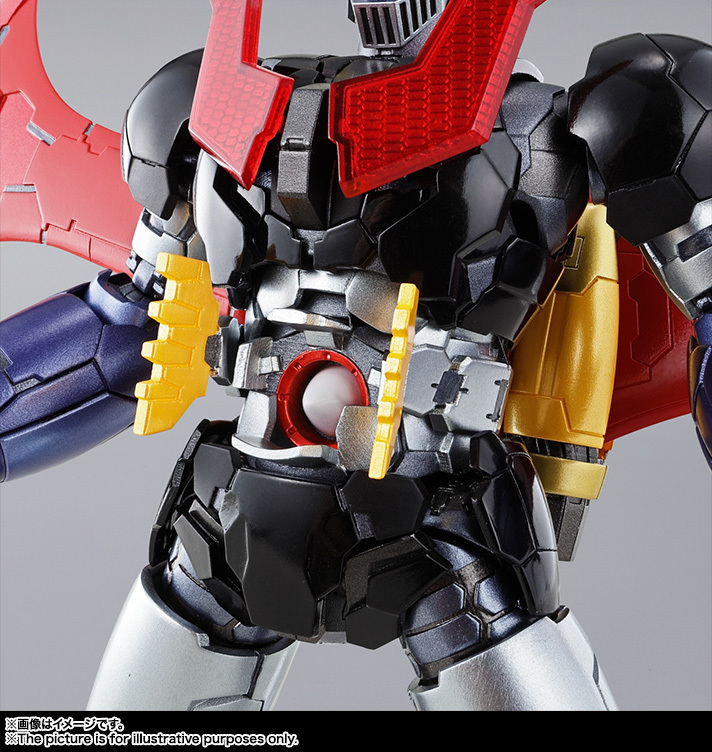 The hover pilder not only docks in Mazinger Z's head but can unfold for standalone display, with no parts-swapping! 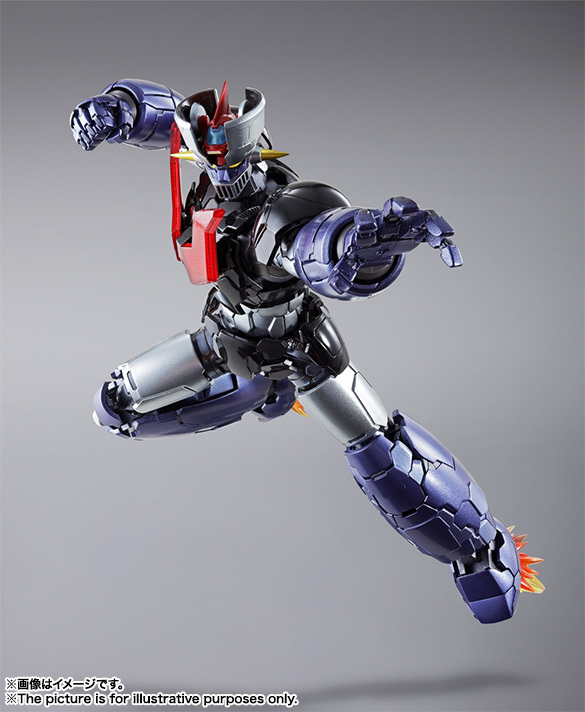 Mazinger Z's arms can be removed to replicate "rocket punch" attacks, and the scramble dash is jointed for realistic display in combined or standalone modes. 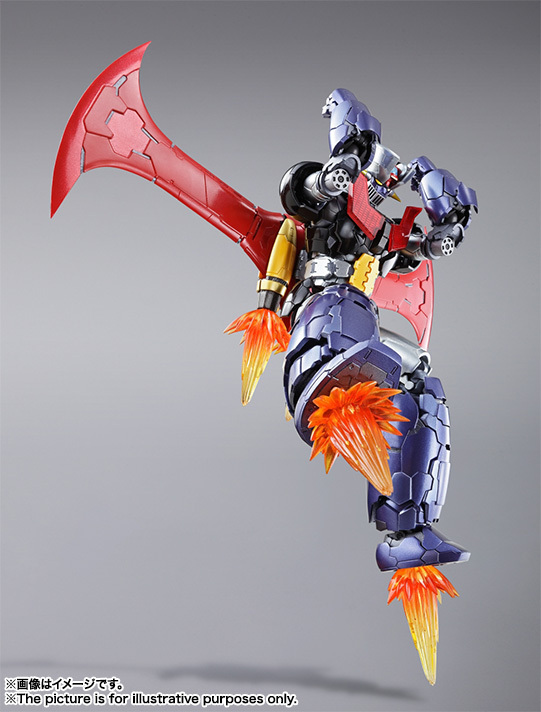 This incredible set includes 3 optional pairs of hands, 2 hover pilders, a jet scrander set, a set of rocket punch effect parts, ironcutter blades (L/R), optional drill missile arms, missile punch parts, 2 southern cross effect parts, a stand for the figure, and two types of stands for accessories. 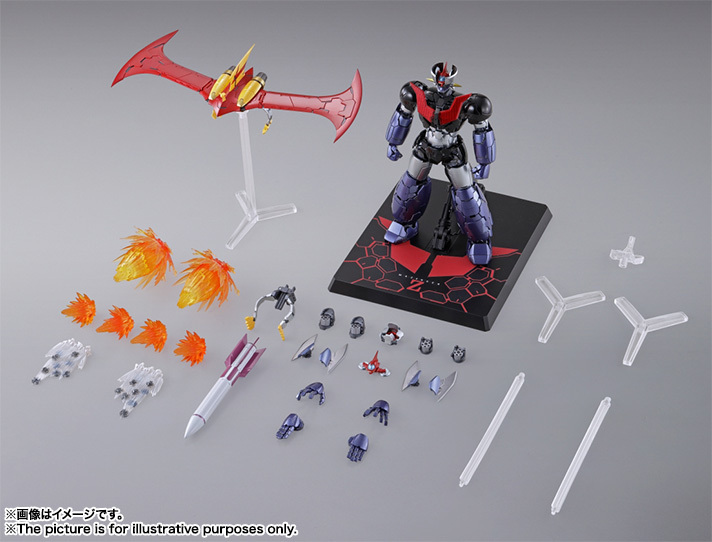 Bandai Metal Build Gundam Astray Blue Frame (Full Weapon Set) 'Gundam Seed Astray"
Bandai Metal Build 00 Gundam Seven Sword/G "Mobile Suit Gundam 00V : Battlefield Record"
Bandai Metal Build Gundam Exia / Exia Repair III "Gundam 00"
Metal Build Gundam Astray Gold Frame Amatsu Mina "Gundam Seed Astray"